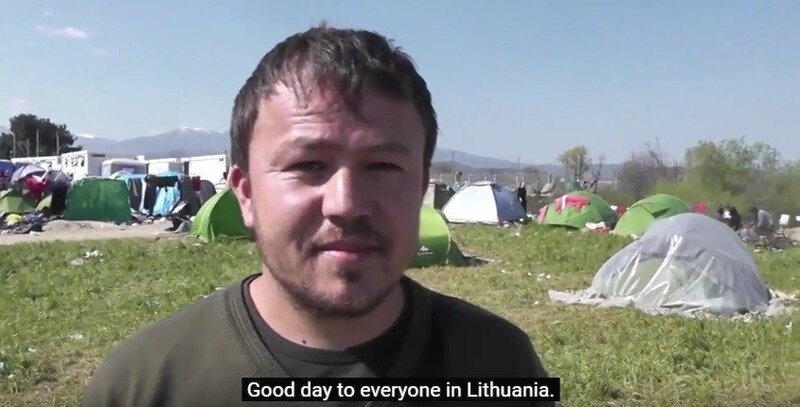 Basir Yousof, the Afghani refugee in Greece who made waves in Lithuania after appearing in a video asking for asylum in Lithuania and revealing himself to have worked with Lithuanian forces as an interpreter in Afghanistan's Ghor province, may have his request granted after a positive reception from both Lithuanian security institutions and the general public. “He was a link between the locals and our soldiers. 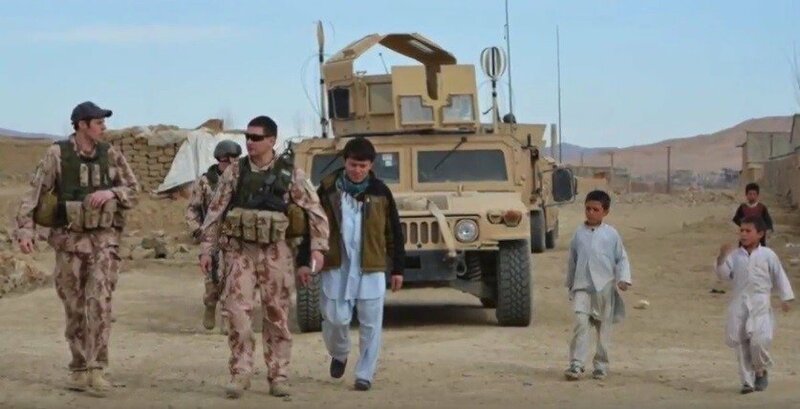 His behavior influenced their attitude towards us and their attitude was very good,” said Eugenijus Vaicekauskas, an official in the Lithuanian military who had worked in Ghor province with Yousof. 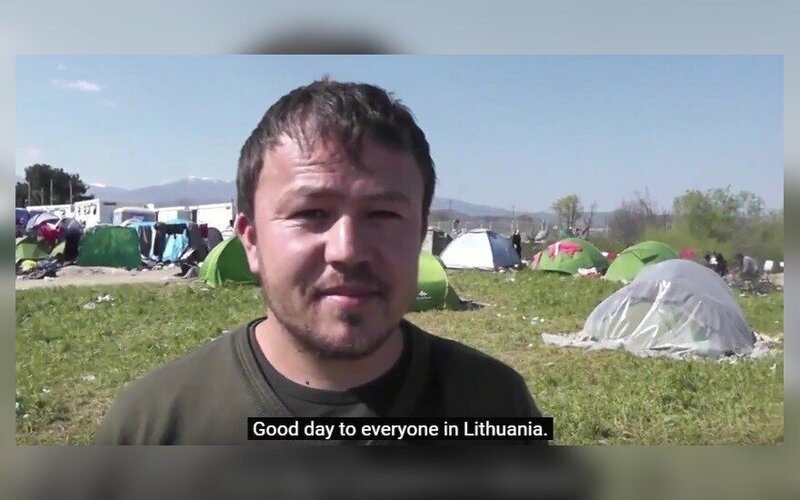 Yousof caught Lithuania's attention after he made a plea in Lithuanian in a Youtube video shot by journalist Josh Friedman. Yousof has already contacted the Lithuanian diplomatic mission in Greece. Yousof spoke to Delfi about his experiences as a refugee, which began when he left his native Afghanistan two months go. He made it to Greece through Iran and Turkey, and the entire trip cost Yousof about $6,000 USD. “I needed $2,000 just to make it to Tehran – the Iranians just took the money and sent me on my way,” Yousof said. He said he had saved up money ahead of time because he had a decent job: he sold computers and telephones. This was one of the reasons why Yousof had only decided to flee Afghanistan now. When NATO's forces, with Lithuanian troops among them, withdrew from Ghor province in 2013, the province seemed stable. Afghani security forces took over the Lithuanian military camp. Yousof and other locals who had worked as interpreters for NATO had to decide what to do next. Some, fearing for the safety of themselves and their loved ones, requested entry into NATO countries. In the mean time, Estonia refused to accept 60 interpreters that had worked with its troops. One of them, Omar, had been threatened with reprisal by the Taliban. He became a hero of the Latvian press and much of the public supported his acceptance, but the government denied his request. As the NATO mission in the area ended, the Lithuanians and the interpreters who had worked in their camp discussed three different possible forms of support: political asylum, help moving to another part of Afghanistan, and monetary payments once their contracts ended. Basir had chosen the last option - to receive some money and stay in Ghor. “I didn't get much, but that wasn't very important at the time – I had a job, I was building my life, and Lithuania was so far away,” Yousof said, explaining his earlier decision. However, he said that the situation in the province changed drastically after the Lithuanian troops left. The Taliban and ISIS appeared in Ghor. “Everything changed when the Taliban sent me a threatening letter. They said I'm a Catholic, not a Muslim, so they would cut off my head or hang me. I notified the local police and they told me that neither they nor the military could do anything. They said I should get a pistol. Then, my family and I decided to flee,” said Yousof. At first, his family had wanted to go where most refugees were headed – to Germany. “But for me, it's not that important which country it is, as long as it's safe. After all, I speak Lithuanian and love Lithuanians,” Yousof said. He learned to speak Lithuanian while performing various tasks at the Lithuanian soldiers' base in Ghor. He was taught by military medics. “When he came to wash the medical facility, my colleague and I taught him Lithuanian. He was a very friendly, talkative and curious guy. All of our colleagues described him very favourably, so if he hasn't changed, why shouldn't Lithuania accept him?” Marija B., a Lithunian sergeant who taught Yousof to speak Lithuanian, told Delfi. For his part, Yousof said he had even managed to teach some Lithuanian to his daughter and wife. “I can describe him positively, because Basir always tried to help our troops, especially those who had poor English skills. He translated from Dari to Lithuanian and from Lithuanian to Dari,” said Jurgis Norvaiša, a captain in the Lithuanian army who had known Basir. “I promise that if I come to Lithuania, I won't do anything bad – the Lithuanians helped me a lot, and I would pay them back in kind,” said Yousof. He said he planned to work hard from the very first day, but that he could not return to Afghanistan. He also confirmed reports that he had received offers of accommodation from Lithuanian soldiers who had served in Afghanistan in the event that he were granted refugee status. “I'd take him in myself if I had someplace to put him, but I don't since he'd be coming with his family,” a Lithuanian senior sergeant who had decided to remain anonymous told Delfi. “We know Basir to have worked well with Lithuania's soldiers in the Ghor province and to have responsibly fulfilled his tasks as an interpreter,” the Ministry of National Defense said in its recommendation to accept Yousof and his family.